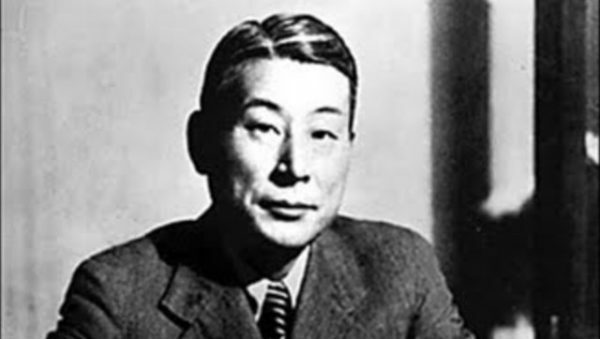 An Unsung Hero - Meet Chiune Sugihara The Guy Who Saved More than 6000 People! An Unsung Hero – Meet Chiune Sugihara The Guy Who Saved More than 6000 People! The world knows about Oskar Schindler, the German businessman who saved more than 1,200 lives during the Holocaust. However, not many have heard about Chiune Sugihara, the Japanese diplomat who helped 6,000 Jews to escape from Nazi-occupied territories. And he did this in a truly rebellious and heroic fashion. This man was a Japanese diplomat in Lithuania. When the Nazis began rounding up Jews, Sugihara risked his life by doing a criminal act that will save a lot of people. He issued unlawful travel visas to Jews so they can escape Nazi-occupied territories via Japan. Not just that he was risking his life but he was hand-writing the visas for 18 hours per day. From July 31 to Aug. 28, 1940, Sugihara and his wife stayed up all night, writing visas. Even the day when his consulate closed and he had to evacuate Sugihara didn’t let that stop him from trying to save lives. He was still writing visas and throwing them from the train as he pulled away. He saved more than 6000 lives. The world did not know what he had done until Israel honored him in 1985, the year before he died. Sugihara was transferred to Prague, where he worked in 1941 and 1942, and then to Bucharest, where he worked from 1942 to 1944. When the Soviets invaded Romania, he and his family were taken to a prison camp for 18 months. They returned to Japan in 1946, and a year later, the foreign office told him to resign. Years later, his wife, Yukiko Sugihara, who died in 2008, speculated the forced resignation was because of the unauthorized visas. Chiune Sugihara, who worked odd jobs after returning to Japan and later was employed by a trading company in Russia, worked in obscurity and never spoke of the visas. He never knew if anything came of them and survivors had no luck finding him. But, in 1968, a survivor who had become an Israeli diplomat, Joshua Nishri, finally made contact. In 1985, a year before his death in Tokyo, Israel named Sugihara “Righteous Among the Nations,” a title given to non-Jews who risked their lives to save Jews during the Holocaust. “Without him, many of the most accomplished minds of our world would not exist today.” said Richard Salomon, a board member of the Illinois Holocaust Museum and Education Center. Salomon’s father, Bernard, received the 299th visa issued by Sugihara, who in 1940 became the Japanese consul general to Lithuania, an area where Polish Jewish refugees had relocated during World War II. “There are so many people living today because he took the time and made the effort.” said Anne Akabori, an author who translated “Visas for Life,” the Yukiko Sugihara’s memoir, and wrote “The Gift of Life,” an account of Chiune Sugihara’s life. The Simon Wiesenthal Center has estimated that 40,000 people are alive today because of the Sugiharas. People hold grudges, people make wars for whatever reason, and the whole world is telling you why you should hate this people or that people. However, each and every person out there has the ability to chose to be human before anything else. No matter in what bigger game we find ourselves to be a part of, no matter what role the world is telling us to play, we all have this ancient knowledge deep inside our souls that tells us what is right and what is wrong. All we need to do is to find the courage inside to listen and act upon this knowledge. So we can honor humanity.